Want “clean” that’s “truly clean”? Experience that difference with Eco Cleaning Services! Clean restrooms can make a lasting impression on guests, visitors, tenants and occupants. The foremost maintenance complaint, that building owners face, is about dirty restrooms. No one is immune from the menace of unclean toilets and restrooms, from owners and staff to guests, visitors and customers. But the biggest casualty of all is to your brand! Your biggest asset to success is a satisfied customer. An unclean restroom can be cause for negative customer impressions about your business and your brand. Restrooms are often a key to formulating customer impressions about the buildings they visit and the owners of those businesses housed there. And while maintaining a clean restroom might seem like a minor matter, doing so can be instrumental in shaping customer loyalty and fostering brand pride. And a clean restroom is a sure sign of confidence to your employees, customers and visitors, that rest of your operations are as healthy and clean too! We know how important clean restrooms are for your business, employee morale and customer loyalty. That’s why we don’t overlook any detail when cleaning, disinfecting and sanitizing your restrooms. Our detail-oriented restroom cleaning protocols are specially designed to not just disinfect and sanitize fixtures, but also walls, vents and floors, and every major touch point that washroom users come in contact with. Our detailed list of touch points includes, but is not limited to: hand rails, stall latches and handles, toilet seats, flush levers, towel dispensers, soap dispenser buttons and levers, buttons on hand dryers, push plates on stall and entry doors, door handles…and much more. 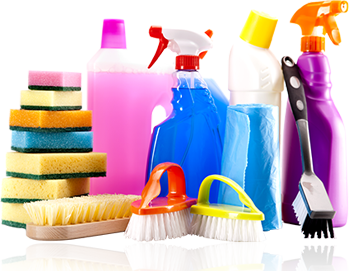 We also meticulously monitor and restock all of the janitorial supplies for your restrooms, including paper towels, toilet paper, soap, sanitizer liquid and other daily-use supplies. Our cleaning technicians at Eco Cleaning Services, Inc. are trained to ensure your restrooms always make a great first impression – because you’ll never get a second chance to make one! Our restroom cleaning experts take exceptional pride in everything that we do. Our sole objective is to ensure we leave you completely satisfied about the level of cleaning that you need – and receive. When you entrust your restroom to our cleaning care, you’ll be 100% guaranteed that we’ve taken every precaution necessary to deliver a cleaner clean than you’ve ever seen, with no risks of infections or cross contamination. With Eco Cleaning Services, Inc., on your restroom cleaning team, not only will you create a clean, happy and healthy environment for your workers and employees, but you’re guaranteed to make a lasting positive impression on your visitors and customers. We’ll clean, sanitize and disinfect your restrooms at your convenience, be that prior to, during or after business hours. Call us to receive a free, no obligations quote for your restroom cleaning needs! Our restroom cleaning experts at Eco Cleaning Services, Inc. will provide you with a complete Restroom Cleaning Proposal, including pricing information and cleaning schedules for every location you need cleaned. Our attention to detail and commitment to high quality service means that you are guaranteed to have complete satisfaction with every Eco Cleaning Services, Inc. restroom cleaning experience we deliver. Eco Cleaning Services, Inc. is the “go to” Restroom Cleaning Services Company across Toronto, offering a wide range of convenient Facility Maintenance Services.